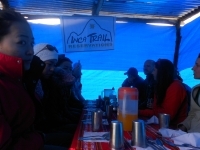 Amazing time on the Inca Trail! 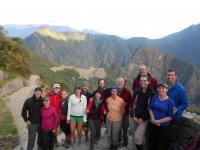 We just completed the Inca Trail and had an absolutely amazing time. There were 10 of us in the group and the guides, Raul and Marco, did well to make sure that all different levels could complete the trail. 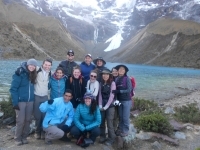 I just completed the 5 day Salkantay trek with Carlos and Marco, and it was wonderful. I have spent a few weeks in South America and it has been a highlight of my trip! 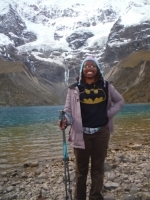 The trek was absolutely beautiful and very rewarding. 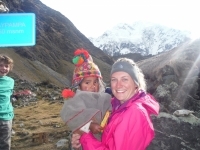 Oh my gosh this trek was one of the most amazing decisions I have made! The views are spectacular and make every uphill effort worth it. The food far surpassed all of my expectations. Personally, I don't eat dairy and every meal (and there were courses) had something scrumptious I could eat! Amazing !! Such a beautiful place and rewarding experience. 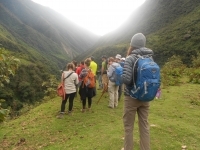 Our guide was full of energy and knowledge about the environment and Inca traditions. 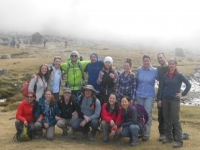 I went on the 5 days / 4 nights Salkantay trek with a group of 15 people. 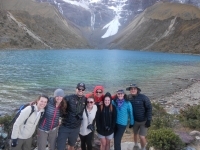 Although sometimes tough and tiring, it was an amazing experience that I didn't want to miss and that I would definitively recommend to friends who like outdoors vacations. 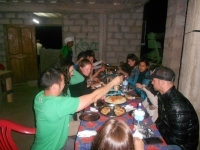 The tour was well organized, the group and tour guides, friendly and the food, tasty. First off, the guides ( Marco & Carlos ) were simply amazing ! From the pick up to the finish, they were very professional. I didn't expect most of what the trip involved. From the guides to the cooks to the horsemen, everything was superb and above expectations. 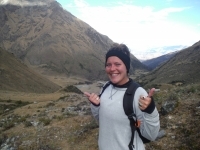 This trek was truly an amazing experience! 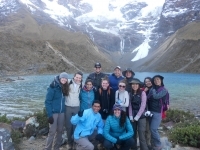 It was a great opportunity to really experience the majesty of the Andes mountains. 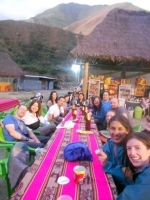 I traveled to Peru alone, however from the time of booking, the folks at Salkantay.org were always helpful and communicative, even though I was in the states. This was hands down one of the most amazing trips I have ever been on. From orientation the night before our trek, our guide Victor was extremely knowledgeable and laid out all of the expectations of the trip ahead and addressed all of our questions and concerns.